Christians generally define "Original Sin" as an inherited sinful nature that is a result of Adam and Eve's original sin in the Garden of Eden when they disobeyed God and both ate the forbidden fruit. Jews on the other hand commonly reject this teaching stating that all mankind are born sinless and have the potential to live righteous lives, without sin, and improve the world through Torah obedience and righteous acts or good deeds. According to Genesis, chapters 2-4, God expelled Adam and Eve from the Garden of Eden after their disobedience. He moved them from a perfect garden environment and they entered a world where living things began to die and where they had to perform physical labor to survive. The results of Adam and Eve's sin are still evident in the world today with physical labor, childbirth pain, disease, death, etc. So in effect, we are all still suffering the results of Adam and Eve's "Original Sin." We are not living in a perfect world. But more important than the two viewpoints above is what the Bible has to say about sin and righteousness. that human beings are without sin? What Does the Tenach Say About Sin? The King of Israel, Solomon, said this in 2 Chronicles 6:36, "They (your people) sin against you - for there is no one who does not sin." Again King Solomon wrote in Ecclesiastes 7:20, "For there is not a righteous person on earth who does good and never sins." King David, the father of Solomon, wrote this in Psalm 14:1-3, "Fools say in their hearts, 'There is no God.' They deal corruptly, their deeds are vile, not one does what is right. From heaven Adonai observes humankind to see if anyone has understanding, if anyone seeks God. But all turn aside, all alike are corrupt; no one does what is right, not a single one." The prophet Isaiah wrote in Isaiah 53:6, "We all, like sheep, went astray; we turned, each one, to his own way; yet Adonai laid on him the guilt of all of us." Again the prophet wrote in Isaiah 64:6-7, "All of us are like someone unclean, all our righteous deeds like menstrual rags; we wither, all of us, like leaves; and our misdeeds blow us away like the wind. No one calls on your name or strives himself to take hold of you, for you have hidden your face from us and caused our misdeeds to destroy us." heart, without listening to Me." Again in Jeremiah 17:9 he wrote, "The heart is deceitful above all things and beyond cure. Who can understand it?" 1 Kings 8:46 states clearly, "For there is no one who doesn't sin..."
The Hebrew Scriptures state emphatically that all have sinned and there are none without sin. 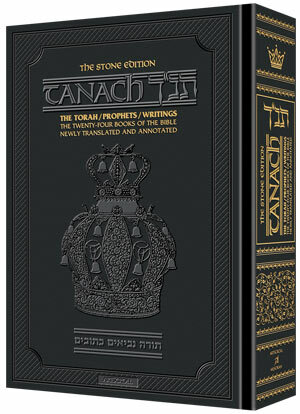 To teach or believe otherwise is to renounce the Bible. Sin is simply doing that which is disobedience to God's will and not of faith. In Genesis 2:16-17 God spoke this to Adam, "Adonai, God, gave the person this order: 'You may freely eat from every tree in the garden except the tree of the knowledge of good and evil. You are not to eat from it, because on the day that you eat from it, it will become certain that you will die." And besides the curse of death, Genesis 3:16-19 lists additional curses that resulted because of sin. "To the woman (Eve) he said, "I will greatly increase your pain in childbirth. You will bring forth children in pain. Your desire will be toward your husband, but he will rule over you." To Adam he said, "Because you listened to what your wife said and ate from the tree about which I gave you the order, 'You are not to eat from it,' the ground is cursed on your account; you will work hard to eat from it as long as you live. It will produce thorns and thistles for you, and you will eat field plants. You will eat bread by the sweat of your forehead till you return to the ground - for you were taken out of it: you are dust, and you will return to dust." Isaiah 59:1-2 states, "Surely the arm of the Lord is not too short to save, nor his ear too dull to hear. But your iniquities have separated you from your God; your sins have hidden his face from you, so that he will not hear." Ezekiel 18:4, 20 says, "For every living soul belongs to me, the father as well as the son--both alike belong to me. The soul who sins is the one who will die... The soul who sins is the one who will die. The son will not share the guilt of the father, nor will the father share the guilt of the son. The righteousness of the righteous man will be credited to him, and the wickedness of the wicked will be charged against him." Sin causes separation and death. Because the Hebrew Scripture teach that all have sinned, the consequences of our sin should be clearly known - death. And that result is eternal. There are no biblical texts that support reincarnation of souls. Reincarnation is an eastern religious teaching that continually keeps sinful souls recycling into newly born physical bodies until perfection is finally obtained. Such teaching tickles the hearers' ears because it provides an alternative solution for sinful souls and a way to avoid the consequences. But such teachings are directly opposed to what the Hebrew Scriptures teach. and the results are death. 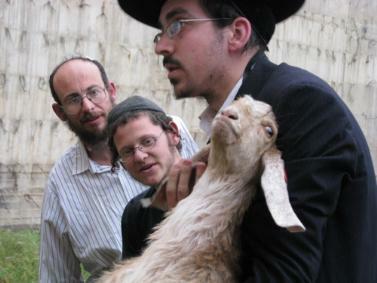 Leviticus chapters 4 and 5 of the Torah describes in detail that if anyone in Israel sins knowingly or unknowingly, they are to bring an animal for sacrifice. The animal was to be brought to the tabernacle, killed, and the blood sprinkled before the curtain, and the blood was to be placed on the altar as a sin offering before Adonai. The animal was to be without defect and was to be presented as an offering for sin by the priest. Once the sin offering was completed, the person was forgiven of their sin by Adonai. The animals used for guilt offering sacrifices included: bulls, goats, lambs, doves or pigeons. In Leviticus 17:11 we read, "For the life of a creature is in the blood, and I have given it to you to make atonement for yourselves on the altar; it is the blood that makes atonement for one's life." The sacrificial lamb had to be without blemish. According to the Torah in Exodus 29:36-37, every day, seven days a week, animal sacrifices where to be offered for the forgiveness of sin. In addition to the daily sacrifices were the sin offerings offered on the festivals of Adonai. In Leviticus 16:5-11, instructions are given for the annual Day of Atonement. "The high priest is to take from the community of the people of Israel two male goats for a sin offering and one ram for a burnt offering. Aaron is to present the bull for the sin offering which is for himself and make atonement for himself and his household. He is to take the two goats and place them before Adonai at the entrance to the tent of meeting. Then Aaron is to cast lots for the two goats, one lot for Adonai and the other for Azazel (scapegoat). Aaron is to present the goat whose lot fell to Adonai and offer it as a sin offering. But the goat whose lot fell to Azazel is to be presented alive to Adonai to be used for making atonement over it by sending it away into the desert for Azazel. Aaron is to present the bull of the sin offering for himself; he will make atonement for himself and his household; he is to slaughter the bull of the sin offering which is for himself." Leviticus 16:15-16, "Next, he is to slaughter the goat of the sin offering which is for the people, bring its blood inside the curtain and do with its blood as he did with the bull's blood, sprinkling it on the ark-cover and in front of the ark-cover. He will make atonement for the Holy Place because of the uncleanlinesses of the people of Israel and because of their transgressions - all their sins; and he is to do the same for the tent of meeting which is there with them right in the middle of their uncleanlinesses." from the altar to the Brook of Kidron." Redemption from sin in ancient Israel was always through animal sacrifices and the shedding of blood. It was a process that Adonai established and was carried out through the Levitical priesthood. If the Torah states clearly that blood sacrifice is the essential requirement for redemption from sin, then what is one to do today? There is no functioning Temple, no functioning priesthood, and no animal sacrifices for sin. What Do We Do Now for Redemption? When the sacrificial system ceased, the rabbis realized they had a problem called "redemption from sin." So they devised a new teaching - tzedakah or redemption through righteous acts and deeds. While tzedakah is certainly taught in the Hebrew Scriptures, no where is it taught that acts of righteousness nullify and atone for sins. Atoning for sin is an act that is done by someone else on behalf of the sinner. It is not something we do for ourselves. It is not something we earn. And even though the rabbis established the practice of tzedakah as a replacement for blood atonement, such a teaching is in direct contradiction with the Torah. abruptly almost 2,000 years ago? The answer to the question above is in two parts. First, the Temple was destroyed, preventing sacrificial atonement for sin. And second, the Messiah came to be the final blood atonement for sin for all of mankind. The prophet Isaiah wrote about the ministry of the Messiah and what he would accomplish on behalf of sinners. We read this in Isaiah 49:5-9, "So now Adonai says - he formed me in the womb to be his servant, to bring Jacob back to him, to have Israel gathered to him, so that I will be honored in the sight of Adonai, my God having become my strength he has said, 'It is not enough that you are merely my servant to raise up the tribes of Jacob and restore the offspring of Israel. I will also make you a light to the nations, so my salvation can spread to the ends of the earth.' Here is what Adonai, the Redeemer of Israel, his Holy One, says to the one despised, whom the nations detest, to the servant of tyrants: 'When kings see you, they will stand up; princes too will prostrate themselves, because of Adonai, who is faithful, the Holy One of Israel, who has chosen you.' Here is what Adonai says: 'At the time when I choose, I will answer you; on the day of salvation, I will help you. I have preserved you, and I have appointed you to be the covenant for a people, to restore the land and distribute again its ruined inheritances to their owners, to say to the prisoners, 'Come out!' to those in darkness, 'Show yourselves!'" 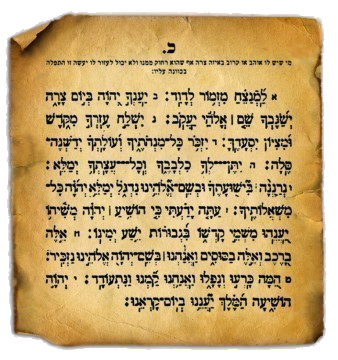 The scroll of Isaiah was written 8th century BCE - 700 years before Yeshua. Isaiah 53 prophetically states that someone will be wounded for our transgressions and carrying the sin of many and intercede for sinners. The rabbis teach that the "someone" in Isaiah 53 is "Israel." In fact Isaiah chapter 53 is so controversial, that it is never read or discussed in the synagogue. As you read this passage from Isaiah 53, ask yourself the following questions: Who bears the sins of Israel if Israel is the one offering themselves for the sins of others? When did Israel ever offer itself as guilt offering for the sins of the nations? The pronouns in the passage refer to a second person, so who are the "he" and "him" in the texts? Who are the "we" and "our" referred to in the texts? If you read it carefully and honestly, you will soon realize that this scripture is not about Israel being a suffering servant and a guilt offering for sin. It is talking about someone else. "Who believes our report? To whom is the arm of Adonai revealed? For before him he grew up like a young plant, like a root out of dry ground. He was not well-formed or especially handsome; we saw him, but his appearance did not attract us. People despised and avoided him, a man of pains, well acquainted with illness. Like someone from whom people turn their faces, he was despised; we did not value him. In fact, it was our diseases he bore, our pains from which he suffered; yet we regarded him as punished, stricken and afflicted by God. But he was wounded because of our crimes, crushed because of our sins; the disciplining that makes us whole fell on him, and by his bruises we are healed. We all, like sheep, went astray; we turned, each one, to his own way; yet Adonai laid on him the guilt of all of us. Though mistreated, he was submissive - he did not open his mouth. Like a lamb led to be slaughtered, like a sheep silent before its shearers, he did not open his mouth. After forcible arrest and sentencing, he was taken away; and none of his generation protested his being cut off from the land of the living for the crimes of my people, who deserved the punishment themselves. He was given a grave among the wicked; in his death he was with a rich man. Although he had done no violence and had said nothing deceptive, yet it pleased Adonai to crush him with illness, to see if he would present himself as a guilt offering. If he does, he will see his offspring; and he will prolong his days; and at his hand Adonai's desire will be accomplished. After this ordeal, he will see satisfaction. 'By his knowing pain and sacrifice, my righteous servant makes many righteous; it is for their sins that he suffers. Therefore I will assign him a share with the great, he will divide the spoil with the mighty, for having exposed himself to death and being counted among the sinners, while actually bearing the sin of many and interceding for the offenders.'" Isaiah 55:1-7 invites all of us to accept the atonement provided by the Messiah. "All you who are thirsty, come to the water! You without money, come, buy, and eat! Yes, come! Buy wine and milk without money - it's free! Why spend money for what isn't food, your wages for what doesn't satisfy? Listen carefully to me, and you will eat well, you will enjoy the fat of the land. Open your ears, and come to me; listen well, and you will live - I will make an everlasting covenant with you, the grace I assured David. I have given him as a witness to the peoples, a leader and lawgiver for the peoples. You will summon a nation you do not know, and a nation that doesn't know you will run to you, for the sake of Adonai your God, the Holy One of Israel, who will glorify you." God's forgiveness and grace is promised us when we repent. When Yochanan (John) saw Yeshua approaching, he declared in John 1:29, "Behold the Lamb of God, who takes away the sin of the world." Yochanan understood the writings of the prophets and spoke prophetically that Yeshua was the Messiah who would become the ultimate sacrifice for sin. With Yeshua as the sin offering, there would be no more need for daily animal sacrifices for sin. Unsure that Yeshua is the Messiah? That he came to become the final sacrifice for sin? That you need to receive his atonement and forgiveness? Pause, and ask God to show you if any of this is so. If you ask God in a spirit of sincerity, He will give you the confirmation you are seeking. Why? Because God has given three promises to assure us that if we seek Him, we will find Him. 1. In the Torah: Deuteronomy 4:29 "you will seek Adonai your God; and you will find him if you search after him with all your heart and being." 2. In the Prophets: Jeremiah 29:12-13 "When you call to me and pray to me, I will listen to you. When you seek me, you will find me, provided you seek for me wholeheartedly." 3. In the Writings: Proverbs 8:17 "I love those who love me; and those who seek me will find me." and they will look on me, whom they have pierced. like the bitterness for a firstborn son. there will be great mourning in Jerusalem." in an everlasting covenant that will not be forgotten." 1. I acknowledge that sin separates each of us from intimate relationship with God. 2. I believe God has provided redemption from sin through His Son - Yeshua Messiah. 3. I repent of my sins and accept Yeshua Messiah's atonement for my sins. 4. I accept the assurance of God's gift of eternal life through Yeshua Messiah. 5. I ask for the infilling of God's Holy Spirit to reveal His Word into my life. Dr. Michael Brown's video discussion - "In Search of Atonement"